Secondly, I know it is more of a summer salad but I have been making it all year and I think you will too. In fact, my dad has asked me to make it again today and we are in December. On the morning of my little sisters wedding, we were all gathered at my elder sisters house hunched around this plate. In amongst all the noise and chaos, we had a few minutes of quiet to devour this scrumptious salad. A bundle of hands, grabbing away at chunks of yummy feta. 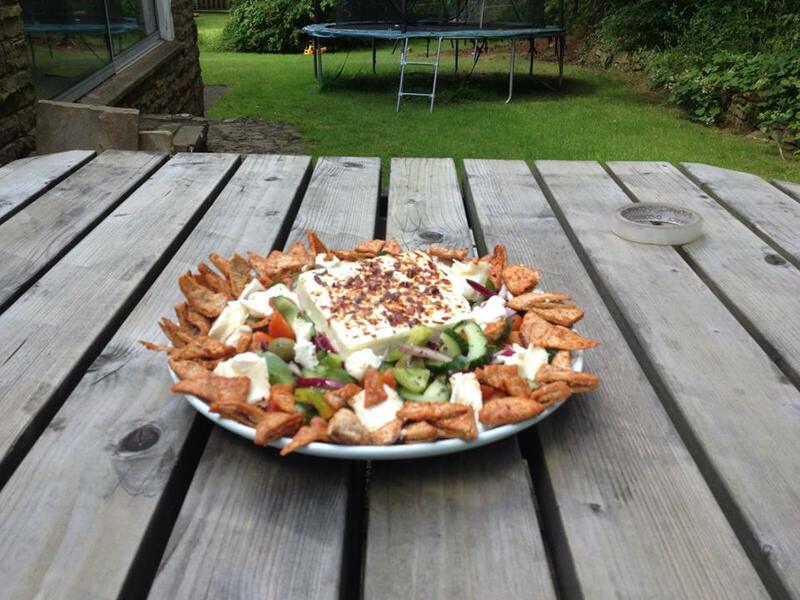 This quick feta salad with paprika pitta chips salad has become a staple in our home. We make it a lot. Now my friends and family are also making it a lot and I hope you will also make it over and over again. It is a salad that is substantial enough to be eaten alone or one that can be taken to gatherings or served as a side dish. The best thing about this salad? It will be ready to serve within 30 minutes at the most. Now is the perfect time to start thinking detox after all that holiday indulgence and this quick feta salad with paprika pitta chips for me ticks all the boxes in terms of being both nutritious and delicious. This is a recipe adapted from Tesco food magazine – Real Food, which by the way is always worth picking up because it is always full of mouthwatering recipes. That’s enough salad talk.. Here is the recipe! To make the chips, put the torn pittas on a baking tray and drizzle with the oil. Scatter with paprika and bake for 15 minutes until crisp and golden. Put the feta in a small ovenproof dish. Scatter over the thyme, chilli and garlic, then drizzle with the oil. Bake for 10 minutes. 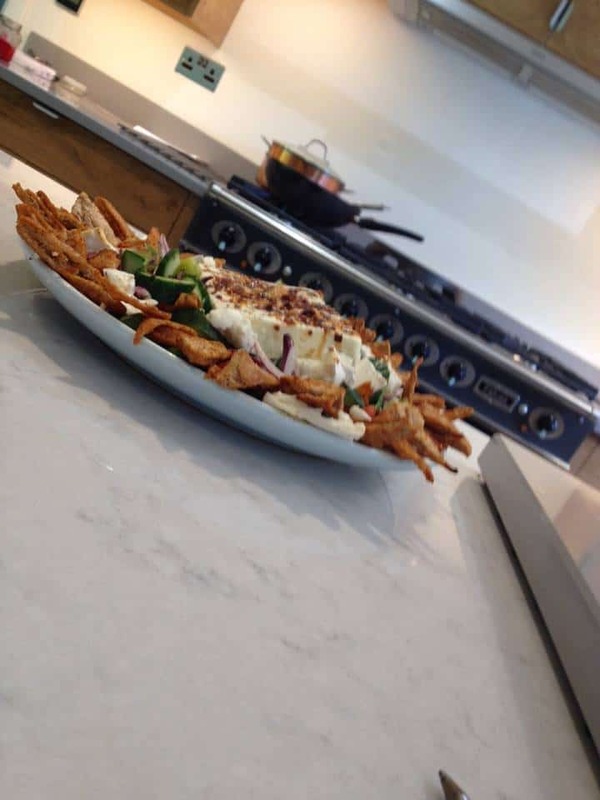 Toss the salad ingredients in a bowl, then top with the feta and serve with pitta chips.